Finding a Moniker for Monica! 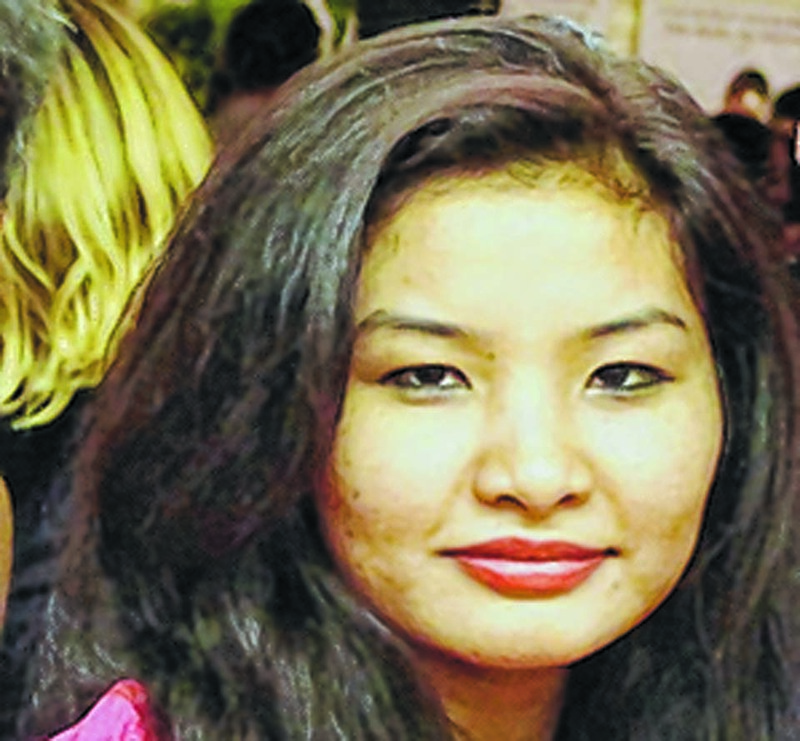 Like most other Indian “chinkies”, Monica Khangembam is a diminutive unassuming girl from Manipur with oriental countenance. She became an instant public darling when her Facebook posting vented her displeasure with the “racist dealing” of an immigration officer at Indira Gandhi International Airport, New Delhi on July 09, 2016. The posting went viral and it drew quick attention of Central Government Ministers and the Immigration Bureau of India. The diminutive Monica shook the pillars of Indian polity that stand on the pedestal of racism. For a while, I looked for a moniker for her that would be an appellative to her brave action. I thought about epithets like a crusader, a whistle blower, a defender and many more. I stopped because a hasty moniker for Monica may be hazardous to her wishes to become a part of the action in bringing racism law to India. Immigration Officers are authorized to ask questions in their efforts of checking identities of travelers. But extreme cares are taken not to go judgemental and prejudicial in the process. With my Manipuri oriental look and an Indian name on my Indian Passport I once faced a similar situation, not at Delhi airport but at Schiphol airport, Amsterdam. The armed security, seriously doubting my identity took me to an interrogation room. He just asked a few questions about my purpose of visiting the Netherlands and let me go without a single word to offend me. The remark, “Indian to nahi lagti ho” (you do not look an Indian though) and the volley of general knowledge questions put to Monica by the immigration officer at IGI airport are obviously judgemental and purposeless and therefore, totally unwarranted. His actions could be a targeted discrimination or just an uncouth poor demeanour of Indian airport staff known for their poor customer service skills. Both the cases should attract disciplinary action. Racism in India is widespread, of many kinds and is deeply rooted in its culture. If you google “Top ten racist countries of the world”, many of the search results will show India as number one in the list. When values like secularism, socialism and democracy are enshrined in the constitution, Indian polity in practice actually drives the populace towards a fascist and unipolar society. Discrimination manifests in religion, region, language, skin color, economic status and many other sub-factors. The most deplorable trait for many Indians is the hypocrisy of their racism expressed in an admixture of their servility and superiority complex e.g. worship the white skin and deride the dark skin. When the “otherness” factor prevails all over the nation between regions and races, the degree of otherness is significantly high for majority of Indians in their attitudes towards the people of India’s North-east because of their distinction as racially different and economically backward. This has become more pronounced ever since the migrant workers from the region started swarming India’s metros during the past one or two decades causing clash of cultures and fight for opportunities. The Monica incidence at IGI airport caused a large fillip among the media and the socio-political circles perhaps because the Indian atmosphere of late was already highly charged with racism. Several incidents involving death of the people from the North-east, the death of black students from Nigeria and Congo etc. during the past few years took the Indian government to task. The government is already embarrassed by the ever increased bigoted identity consciousness amongst the vast diversity of ethnic and religious groups in the country. These circumstances explain the swift response from some of the Indian Ministers to Monica incidence. This may be an opportune time for fighting against racism in India. But, the battle against racism in India cannot be won with a salvo from the North-east. Many of the well-intentioned programs of the Indian government to mitigate the racial discrimination of North-east people by other Indians ended up making piecemeal solutions without much impact. Continued playing of victim card could be self-inflicting too for the North-east Indians in terms of losing self-esteem and dignity. India needs to change and it needs to remove its name from the list of the top racist countries in the world. This should be the war cry, a cry of a national hero but not that of a cry-baby. Monica has expressed to the Manipur Times (in her interview on July 17, 2016) that she wants to become a part of the mission to sensitize Indian people about the harms of racism and bring anti-racism law to India. Wise use of the tactical ground will decide the right moniker for Monica.